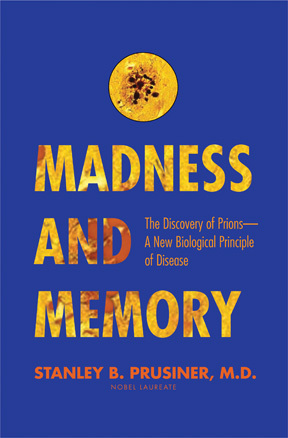 Madness and Memory has received many glowing reviews, links to which are provided below. To hear Dr. Prusiner speak about his work, you can listen to his interviews. In addition, Dr. Prusiner has been the subject of many newspaper articles and has written several important op-ed articles for The Wall Street Journal and The New York Times. Now available on paperpack and audiobook! Buy the paperback from Amazon, Barnes & Noble, IndieBound, AbeBooks, Yale University Press, and other online retailers. By Christopher M. Filley, M.D., F.A.A.N. By Donald F. Calbreath, Ph.D.
Stanley Prusiner: "A Nobel prize doesn't wipe the scepticism away"